In an interview set to air Sunday on the BBC's "Countryfile," Princess Anne, daughter of Queen Elizabeth II and Prince Philip, shared her thoughts on the best way to contain the spread of TB in the U.K.'s cattle population -- which the government has been attempting to do by culling the nation's badgers. According to Princess Anne, neither vaccinating nor shooting badgers is enough; instead, the government should consider poisoning badger dens with cyanide. "If we want to control badgers, the most humane way of doing it is to gas them," Anne told the BBC. Her comments have placed the royal family in an awkward public relations position, given that gassing badgers has been illegal for decades. "The problem seemed to be that badger sets are built to hold warm air in and keep cold draft out, so it was very difficult to achieve a lethal concentration of gas," said Rosie Woodroffe, a zoologist and expert on badger culls. "And sub-lethal concentrations of gas were inhumane -- that's why ministers banned gassing in 1982." 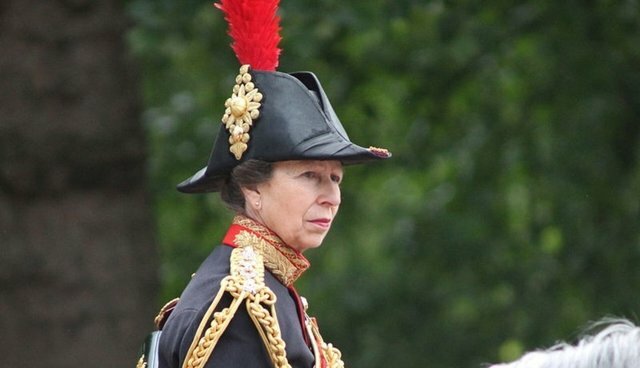 Princess Anne also told interviewers that British citizens should have the option to eat horsemeat, implying that a demand for such meat might help prevent the abuse or neglect of unwanted ponies. The princess's comments have roused animal welfare activists, who call her postulations on gassing badgers and marketing horsemeat ill-informed and incorrect.